Hyderabad, India, May 26, 2018 – Valagro, a leading company in the production and marketing of biostimulants and other specialty nutrients, will be addressing the needs of the Indian market during the “Steering Indian Agriculture Through Valagro’s Sustainable Solutions” event scheduled for today and tomorrow at the Park Hyatt Hotel in Hyderabad, India. Consistent with the project objectives, the Hyderabad event will bring together distributors, farmers and technology leaders in addition to hosting experts from the several accredited Indian academic institutions, to share scenarios and perspectives on the context of Indian agriculture. It will thus be an exciting opportunity to illustrate the role Valagro can play in providing effective solutions to the challenges faced by Indian farmers, in particular by ensuring more abundant, profitable and high quality agricultural output with greater cultivation efficiency. “Doing more with less” is also an unavoidable challenge for Indian agriculture, which is being called on to respond to the food demands of one of the countries with the most numerous – and constantly increasing – populations. “As a portal to the agricultural opportunities in Asia, the Indian sub-continent is one of the most important and strategic areas in which Valagro intends to grow and strengthen its commercial presence. Organising the event here in Hyderabad, where the offices of the Valagro subsidiary in India is located, gives us the opportunity to illustrate how Valagro can ensure greater efficiency in agriculture, increasing the quantity and quality of production, and thus offer a greater return on investment for Indian farmers. 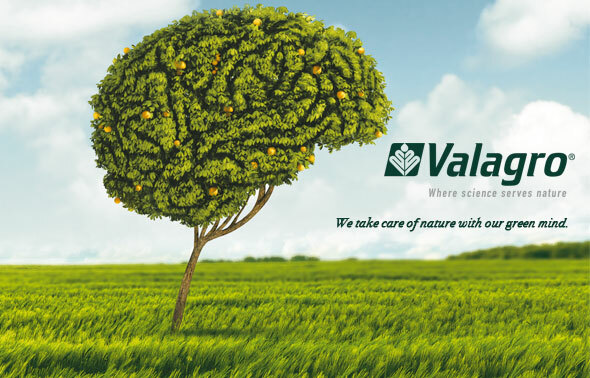 In line with the Group’s principle of putting the customer in the centre, Valagro aims to meet the needs of Indian distributors and farmers using increasingly sustainable and effective solutions”.